Edited by Myc, 05 January 2016 - 09:29 AM. In a partial testing of this index, I have noted titles where the links are broken. The above post represents somewhere around one solid hour of work and I've run out of time again. So 18 pages of material included in the reference thread will take somewhere on the order of 18 hours of work to index. For ease of use I am adding direct links to the pdf files themselves vs links to skunks posts. Shall I continue in this fashion? 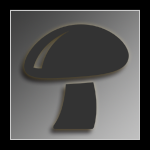 Introduction to the Study of Fungi - Their Orgonography, Classification, and Distribution - M.C. Edited by pastyoureyes, 28 March 2016 - 01:40 AM.